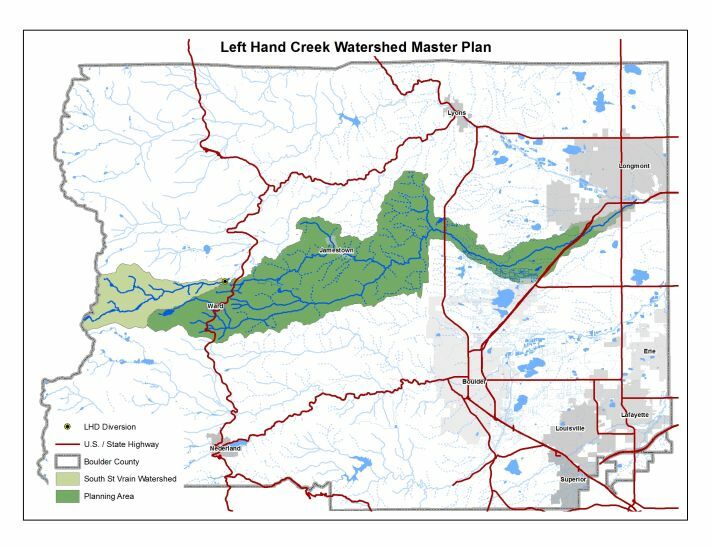 The Left Hand Creek Watershed Master Plan is now complete. See the “Documents” tab to read the complete master plan. The Lefthand Watershed Oversight Group (LWOG) is operating the Watershed Coalition for Left Hand Creek. LWOG will be sharing information about watershed recovery projects and other activities, identifying funding opportunities, and will be implementing projects of interest to landowners and county residents. Funding has been secured to restore sections of James Creek and Little James Creek. For more information, please visit the project website. Central Federal Lands (CFL) and Boulder County have completed reconstruction of Lefthand Canyon Drive, the stream restoration project, and the revegetation effort. Community outreach meetings were held after the 2013 Flood to gather input from land owners along Left Hand Creek. See below for notes from these meetings.